The Ukrainian Security Service has banned Silvio Berlusconi, former prime minister of Italy, from entering Ukraine, apostrophe.com.ua reported on Sept.17, citing the Ukrainian Security Service's response to its inquiry. "On September 14, 2015, Italian citizen Silvio Berlusconi was banned from entering the territory of Ukraine for a period of three years to ensure the security of our state," the document says. 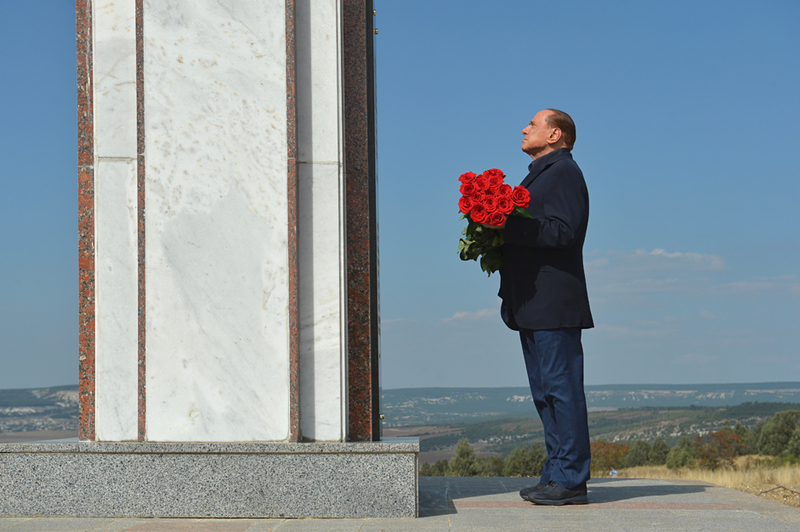 According to earlier reports, Berlusconi visited Crimea last week, where he met with Russian President Vladimir Putin. The Ukrainian Foreign Ministry condemned that visit, saying it was not authorized by Ukraine and it breached the regulations governing entry into and departure from the "temporarily occupied territory of Ukraine." "This visit to occupied Crimea is another attempt made by Russia to legitimize the illegal occupation at any costs and manifests disrespect of the state sovereignty of Ukraine," the statement says. The Ukrainian Foreign Ministry also said the Italian politician's actions contradict the policies of the EU in regard to the condemnation of Russia's actions.